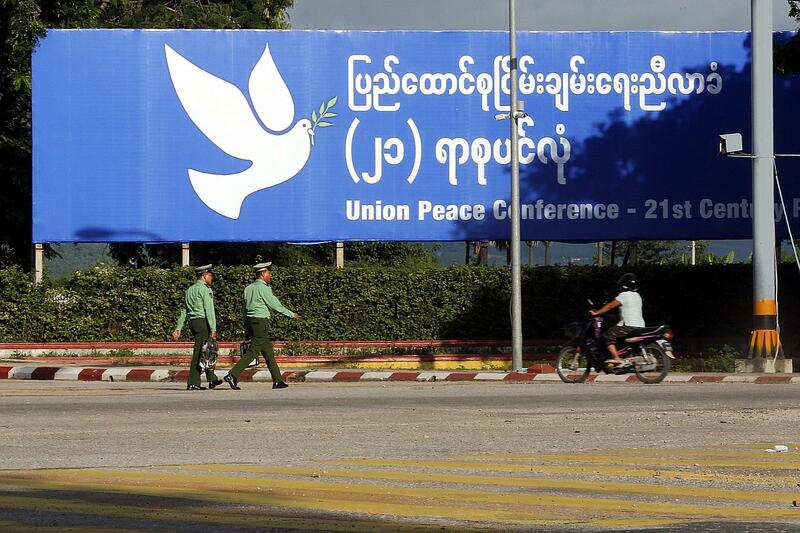 The four-day 21st Century Panglong Conference, also called the Union Peace Conference, which begins today in Myanmar, holds out prospects for peace between the central government and ethnic groups. Unlike Yangon and Mandalay, Panglong is not a household name outside of Myanmar. It is a small town located in Eastern Shan state with a long and storied association with Myanmar's federal politics and holds a special place in the nation's modern history. It was in Panglong that General Aung San negotiated a historic agreement with the ethnic leaders on Feb 12, 1947, in order to forge a united front to gain independence from the British. Since then, Panglong is remembered as a symbol of national unity, and Feb 12 is honoured as Union Day. Panglong is also personally significant for Myanmar's de facto leader, Ms Aung San Suu Kyi, as the architect of the 1947 Panglong Agreement was none other than her illustrious father, Gen Aung San. By naming the Union Peace Conference that begins today as the 21st Century Panglong Conference, Ms Suu Kyi was invoking the spirit and cohesion of the 1947 movement in continuing her father's legacy to unify the nation. However, while both conferences deal with ethnic unity and the country's future, the issues Ms Suu Kyi has to wrestle with are broader and far more complex. Myanmar's political landscape has undergone dramatic changes in last 70 years. Under British rule, Myanmar (then called Burma) was divided into Ministerial Burma, or Burma proper, and the Frontier Areas. Ministerial Burma had a limited form of self-government, but the Frontier Areas were directly governed by the British governor through hereditary ethnic minority leaders. In essence, the Panglong Agreement of 1947 sought to legally incorporate both Ministerial Burma and the ethnic minority states into the then new state of the Union of Burma. The two salient points in the agreement were: full autonomy in internal administration as enjoyed under British rule for the Frontier Areas, and the establishment of a Kachin state in the unified Myanmar. As the conference was about the Frontier Areas, it was attended only by leaders and representatives of the Shan states, the Chin Hill district, and the Kachin Hill tracts of Myitkyina, Bhamo and Katha districts, which had been defined as Frontier Areas by the 1935 Government of Burma Act. Ethnic groups within Ministerial Burma, such as the Kayin, Mon, Rakhine and Kayah, did not take part in the 1947 conference and remained non-signatories to the Panglong Agreement. Besides, leaders of the Wa, Kokang, PaO, Palaung, and Danu ethnic peoples were under the administration of Shan chieftains during that time. Hence, they were excluded from the conference. The political landscape has evolved since then. Now, the Kayin, Kayah, Mon and Rakhine states have their own parliaments and governments, and the Wa, Kokang, PaO, Palaung, Danu and Naga regions have been made autonomous with limited administrative powers. The Wa people have even demanded a Wa state with status equal to that of Shan and the other states. On the other hand, the Shan and Bamar in Kachin state have wanted their own autonomous region since they were separated from Ministerial Burma and incorporated into Kachin without their consent in the 1947 Constitution. When Gen Aung San met the ethnic leaders in 1947, they had to decide only on whether the Frontier Areas would join the future Union of Burma. Almost 70 years later, Ms Suu Kyi has to find acceptable solutions on the future structure of a federal union, and power- and resource-sharing mechanisms between the central government and states. Security sector reforms and possible constitutional amendments are also high on the agenda, which adds to the complexity of the ongoing peace process. More importantly, the 21st Century Panglong Conference is being held in the context of the world's longest armed conflict between the central government and the ethnic groups. Eight ethnic armed groups which are signatories to the Nationwide Ceasefire Accord will be attending, as will 10 other non-signatories, while the attendance of another three groups is still under negotiation. Among the non-signatories attending is the Kachin Independence Organisation (KIO), which is locked in fierce battles with government forces in northern Myanmar. To further complicate matters, the three holdouts are fighting alongside the KIO/Kachin Independence Army. The conflict today is not just between the government and a handful of armed groups. It is between the government and nearly two dozen adversaries with different ideologies and ethnic backgrounds. Alliances between them are ever-changing to the point where these groups are known to fight among themselves on occasion. Another difference between the 1947 and 2006 peace processes is the number of stakeholders involved. The 1947 conference involved Gen Aung San and the leaders of the three ethnic minorities. In contrast, the 2016 process will have seven different categories of stakeholders - the government, the Parliament, the political parties, the Tatmadaw (armed forces), armed ethnic groups, invited persons and ethnic peoples - attending today's conference. On the government side alone, there will be three stakeholders - government (Cabinet), Parliament and the armed forces. A total of about 800 representatives from all sides are expected to attend the conference. And yet another factor that adds to the complexity and sensitivity of the situation is geopolitics. In 1947, Myanmar had to deal with only the British, who by then had already been weakened by World War II. Now, Myanmar is holding peace talks amid the great-power rivalry between the United States and China. Since the tenure of the Thein Sein government, representatives of the United Nations, European Union, the US, China, Japan and other Western countries have been actively participating in the peace process, indicating a major shift in the country's long-held stance of asserting the armed conflicts as an internal affair. In 1947, Gen Aung San achieved the agreement with ethnic leaders within three days. Some believe that history will repeat itself, but the chances of that happening at the 21st Century Panglong Conference are very slim. It is more realistic to see the 21st Century Panglong Conference as the concrete starting point of a long journey towards lasting peace in Myanmar. • Ye Htut is visiting senior fellow at Iseas - Yusof Ishak Institute, and a former minister of information of Myanmar (2014-16).